Our selection of power mobility lift chairs offers the best comfort and assistance for in-home use, when needing to recover from an existing injury. With a simple and elegant design, our lift chairs are made for easy home use and are engineered to offer you the best comfort for added convenience and safety. Come visit us in our office to browse our selection of lift chairs and we’ll be glad to arrange a time and place to deliver and setup for you. You can also request immediate assistance over the phone, or make a reservation by filling out the order form below. How do I Rent a Lift Chair? Renting an orthopedic lift chair with One Stop Mobility is easy. Simply call us at (602) 493-0509 to make a reservation or fill out the online request from below, and a representative will get back to you to finalize the booking. Yes. We charge a one time $45 delivery fee that includes both delivery and setup, as well as pickup. We deliver to all the surrounding hotels and residences in the Arizona valley and to all surrounding locations such as Scottsdale, Chandler, Gilbert, Mesa, Peoria, and wherever else you may be staying. Renting a lift chair has never been easier! 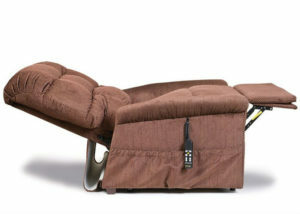 Is Reclining in a Lift Chair Safe? Absolutely. 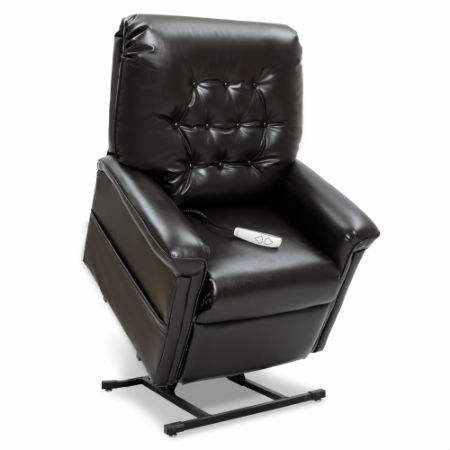 Our lift chairs are medically safe for rehabilitation and injury prevention. Engineered to the highest standards, and constructed of the highest grade material, our mobility lift chair rentals deliver safe comfort and durability. These chairs provide therapeutic benefits for those who suffer from achy joints, back pain, arthritis, poor mobility, and a number of other medical issues. Our models can extend all the way flat so that you can even sleep in them safely if need be. And with a simple button interface, you can control exactly what position you want to be in. For example, you can control how far back you want to extend, or how high up you want to rise, all without compromising your medical rehabilitation.